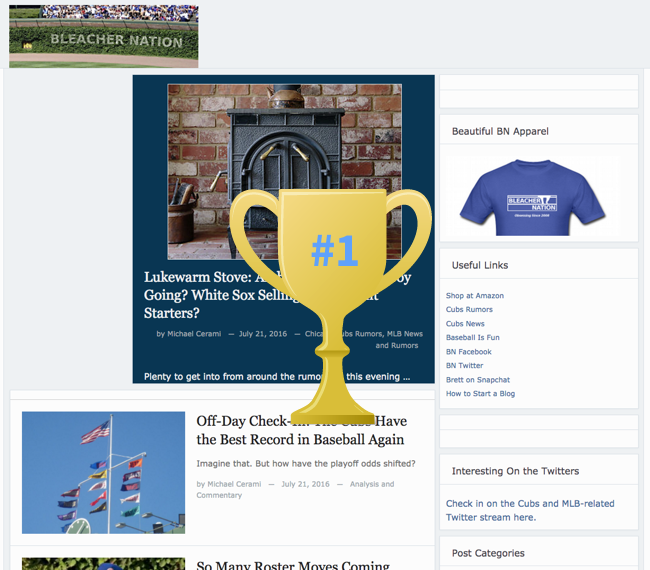 Finishing with 593 votes, your top pick for the best sports site is…Bleacher Nation! In second and third place, we had ESPN which garnered 430 votes and WrestlingInc.com at 365 votes. The home for all things related to the Chicago Cubs, Bleacher Nation has some of the most interesting Cubs baseball stories and news you can find online. Both casual and die-hard fans are a regular presence in the comments section that comes pretty darn close to re-creating the experience of hanging out in the bleachers during a day at the ballpark. The site also creates a pre-game thread for every game so that readers can "watch" the game together and talk about plays as it happens. How did you get started with Bleacher Nation? 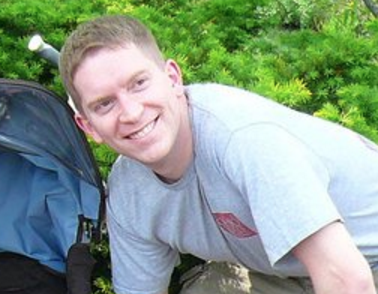 I started back in late 2008 as a fun way to talk about my favorite baseball team, the Chicago Cubs. I enjoyed much of what was out there - and I was an active member of many online communities - but I didn’t quite find the site I wanted most. So I decided to create it myself. Nearly eight years later, Bleacher Nation is my full-time job, we’ve got a staff of talented writers, and a fantastic community. How would you describe the community at Bleacher Nation? An incredible group of people. There are issues, like in any large online community, but there are so many genuinely awesome people that it blows me away daily. They are funny, thoughtful, articulate, and generous. Mostly, though, they just like to have fun together discussing baseball. It’s tough to say what a typical day looks like, because so much depends on what’s going on in the baseball world that day, and what time of year it is. Usually, though, I’m going through the process of laying out what we’re going to write that day, writing and editing, interacting with the community, using social media, etc. 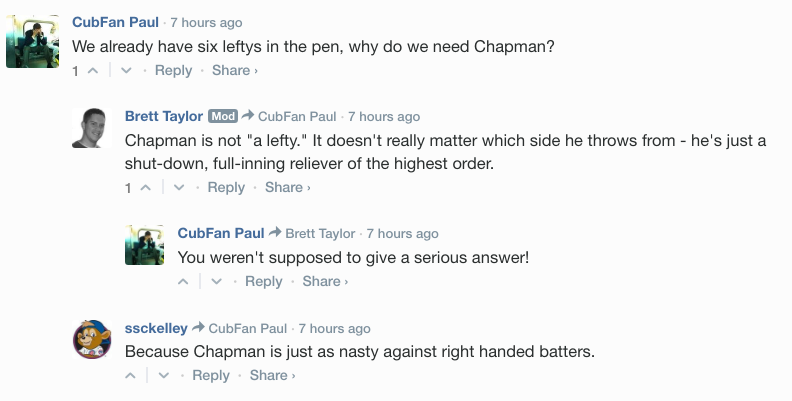 What’s the most interesting thing that happened in the Bleacher Nation community? It has to be the fact that they’ve created their own world, not always driven by the content on the site. Many groups of real friends have developed, and the way they enjoy games together - virtually - is pretty incredible to see. When did you first start using Disqus on Bleacher Nation and why? I believe we first started using it a few years ago, primarily because I’d seen it so many other places and really liked the experience. The native WordPress commenting system is adequate, but as the community grows so large and you’re seeing hundreds of comments on every post, it can be hard for readers to keep up. Favorite and least favorite Disqus feature? What feature do you wish Disqus had? Because I spend a lot of my Disqus time in the back end, I have to compliment the moderating functionality there. The ability to see all the comments in one stream, and evaluate each comment from there, is incredibly handy. I’m not sure what other features I’d want to see - it’s already pretty robust. Anything that keeps the comments loading smoothly, quickly, and consistently is good by me. Thank you Brett for the interview and congrats to Bleacher Nation on being selected as the best sports website! If you haven’t checked out Bleacher Nation yet, go join the community now for the best commentary and analysis of the Cubs throughout this season. We’ll be back soon as we wrap up nominations to determine the best comic book websites over at Discuss Disqus.